All the overnight action from Strasbourg, Nice and Dusseldorf featuring Casey Dellacqua, Ashleigh Barty, Matt Ebden and more. Australian Casey Dellacqua has beaten fifth-seeded Elena Vesnina of Russia 7-5 3-6 6-3 in the first round of the Strasbourg International. 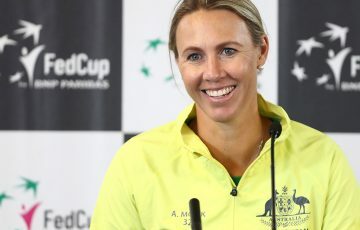 The Australian trailed the Russian 5-2 in the opening set and faced a set point, but reeled off five games in a row to take the opener 7-5. Despite Vesnina levelling at a set apiece, Dellacqua kept her composure to claim the deciding set, winning the final eight points of the match. Dellacqua broke serve seven times as Vesnina made nine double-faults for the match. Dellacqua will face either A Cadantu or Christina McHale for a spot in the quarterfinals. 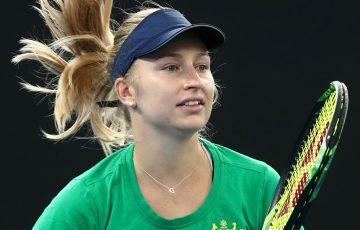 In other matches Ashleigh Barty – who defeated fifth seed Anna Tatishvili 6-1 (ret) in the final round of qualifying – to is due to play seventh seed Peng Shuai in one of the remaining first-round matches. 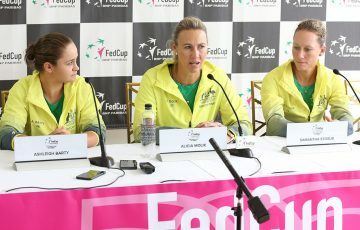 Barty and Dellacqua will join forces in the doubles, taking on Eva Hrdinova and Anna Tatishvili in the first round. 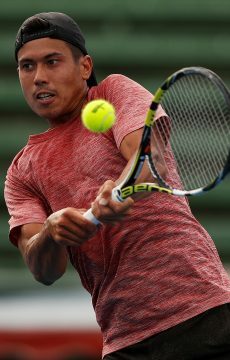 In Dusseldorf, Australian qualifier Jason Kubler is yet to play his first-round match versus Italy’s Alessandro Giannessi. Marinko Matosevic’s campaign there came to an end on Sunday when he fell in three sets to Adrian Mannarino of France. In Nice, Matt Ebden has suffered an early exit at the hands of Spaniard Albert Montanes, who triumphed 6-1 6-3. Bernard Tomic is yet to play his first-round match against Martin Klizan.